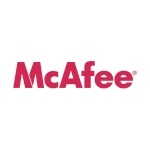 McAfee world's dedicated security technology company is an American company with headquarters in Santa Clara, California, United States, providing global computer security software. The company is owned by Intel is served worldwide. John McAfee founded the company in 1987. The network security product available protects our computers, networks and mobile devices from dangerous viruses, spans and spyware and prevents data loss and privacy in emails. The company serves Industries in financial, healthcare, public sector, retail and telecommunications, Business and Technology in data center security, risk management, compliance and secure mobility, and Product Family in data protection, email and web security, mobile security and network security. There are currently 0 consumer reviews about McAfee available. Share your review. Please take a note that you are about to post a public review about McAfee corporate office on CorporateOffice.com. This review will be public, so please do not post any of your personal information on this website. If you would like to contact the corporate offices of McAfee, please use their contact information such as their phone number, website, and address listed above to contact them. However, sometimes staff from McAfee headquarters do read the reviews on this website.